The greatest convention known to man is fast approaching and genre powerhouses IDW and Top Shelf have announced their San Diego Comic-Con exclusives, which include a couple really, really wicked titles. Ghostbusters are in the lineup, as is some slick Frank Miller work and a Walter Simonson release that defines the term must-have. But that’s just the tip of the iceberg. Check out the entire lineup as well as instructions on how to pre-order right here. Manhunter by Archie Goodwin and Walter Simonson was one of the most acclaimed series of the 1970s, winning numerous awards along the way—not bad for a backup feature that only ran seven episodes! This Artist’s Edition presents the original run of Manhunter, as well as a classic Batman story, Dr. Fate, Metal Men, and Captain Fear tales. This very limited edition variant is signed & remarqued by Walter Simonson and is numbered as one of a limited edition of 50 copies. 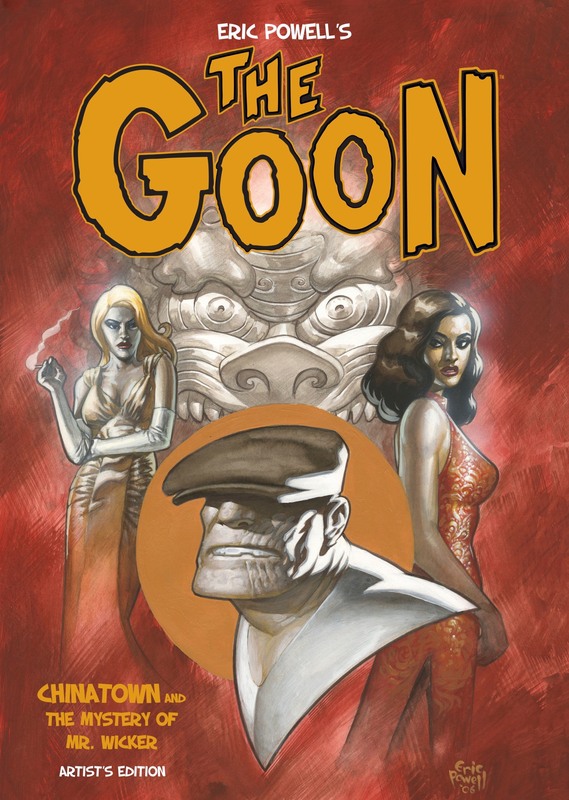 Since debuting in 1999, The Goon has won constant critical praise as well as a large and rabid fan base for creator Eric Powell. This beautiful Artist’s Edition features Powell’s Goon original graphic novel, Chinatown and the Mystery of Mr. Wicker, the opus that earned the writer/artist two Eisner Awards! Variant cover only available at the IDW booth. Frank Miller, multiple Eisner Award-winner, is one of the finest and most influential comics creators of his generation. From Sin City to Dark Knight Returns, to Daredevil: Born Again and Batman: Year One (both of which he wrote and collaborated on with David Mazzucchelli), his contribution to the art form is nearly peerless. But before these incredible works came his groundbreaking turn on Daredevil! 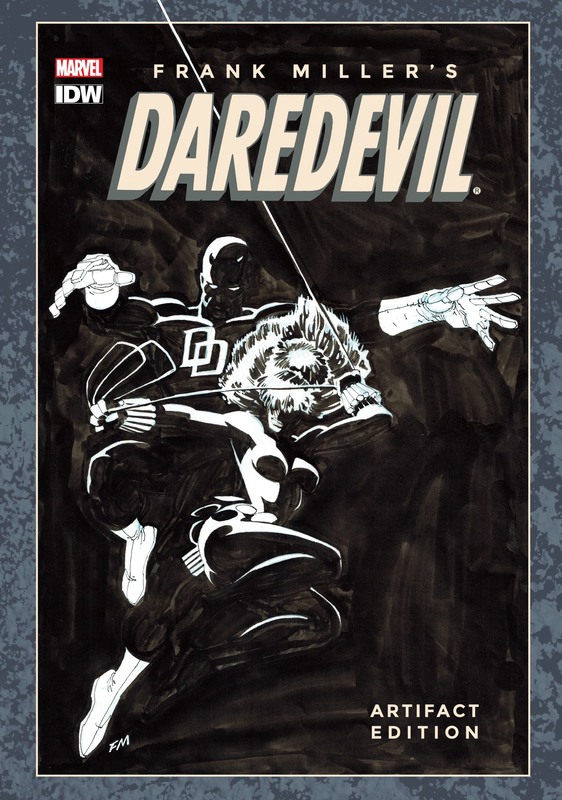 This convention exclusive boasts a stunning variant cover by Miller featuring Daredevil and Black Widow. It’s the ultimate Ghostbusters team-up on this convention exclusive cover to the new series Ghostbusters: Get Real! With art by Dan Schoening, this is one exclusive you’ll want to catch early! The critically acclaimed series by Joe Hill and Gabriel Rodriguez takes on new life in a reformatted hardcover collection which features the first two arcs, “Welcome to Lovecraft” and “Headgames,” with a special Black & White variant cover.